Discover a healthier and nutritious alternative to traditional fast foods. *SUBWAY© Gift Card, Logos, Slogans And Related Marks Are The Property Of Doctor's Associates Inc. This card is valid and can be redeemed only at participating restaurants in the U.S and Canada and at other online venues. 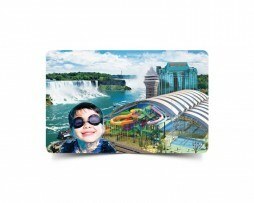 Visit www.mysubwaycard.com for a complete list of where cards can be used and for other terms and conditions. This card functions as gift card and rewards card. This reloadable SUBWAY© card is issued by Value Pay Services LLC and never expires. The are no fees associated with this card. This card may not be used to buy additional cards and is not redeemable for cash except as required by law. Validate only at participating restaurants in the U.S and Canada and at other online venues. Visit www.mysubwaycard.com for a complete list of where cards can be used and for other terms and conditions. Use of this card constitutes acceptance of those terms and conditions ©2015 Doctor's Associates Inc / Value Pay Services LLC. SUBWAY© is a registered trademark of Doctor's Associates Inc.